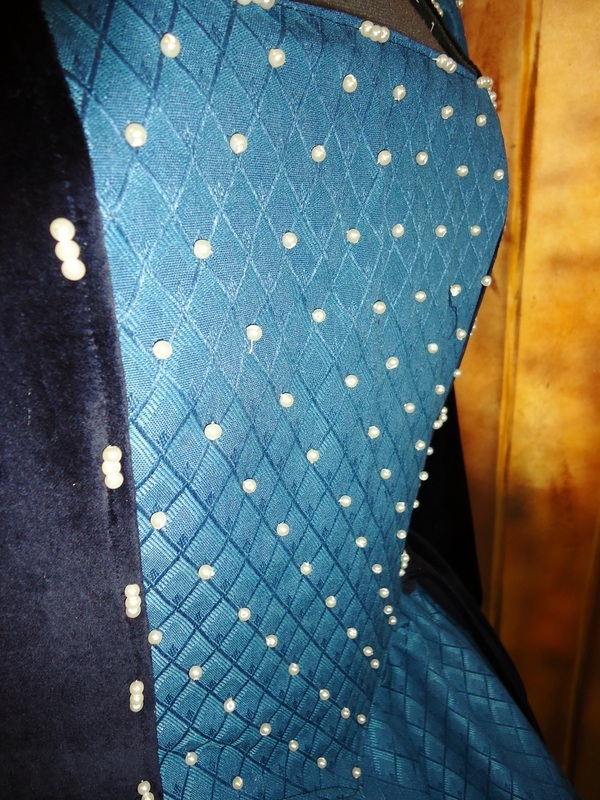 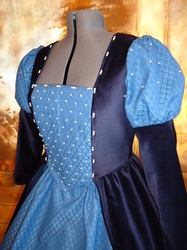 The Tudor Gown is inspired by the lovely costumes on "The Tudors" series. From the luxurious brocade to over 5 yards of velvet, this gown will make you feel like you've just stepped out of a castle. The Sides and Back are black plush cotton velvet, lined, and have boning along the back laces to prevent bunching when laced. 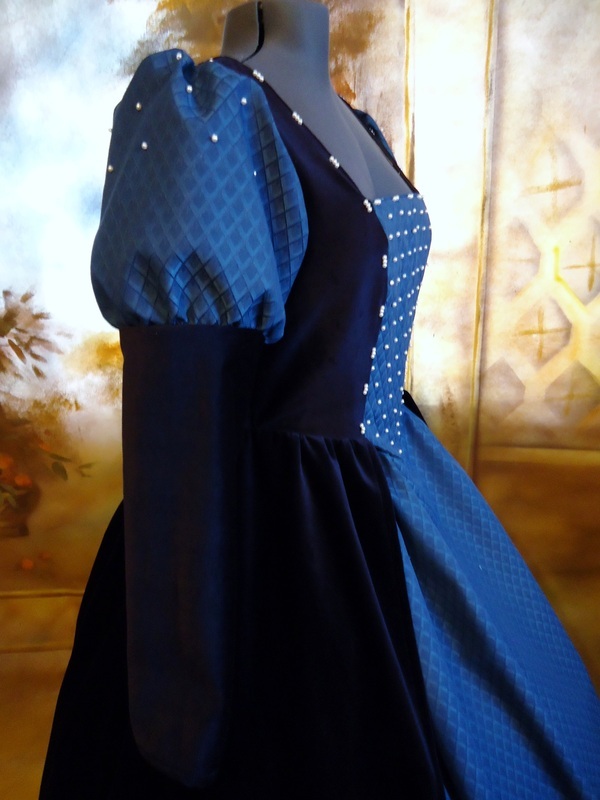 The forepart and top sleeves are diamond pattern brocade with the front lightly boned for support, and hand applied pearl accents. 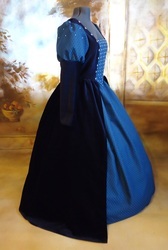 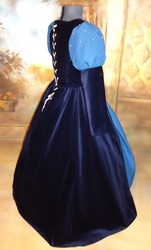 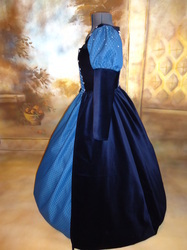 This gown features two skirts: The attached overskirt is a full tree yards of velvet, with a bottom circumference of 108". 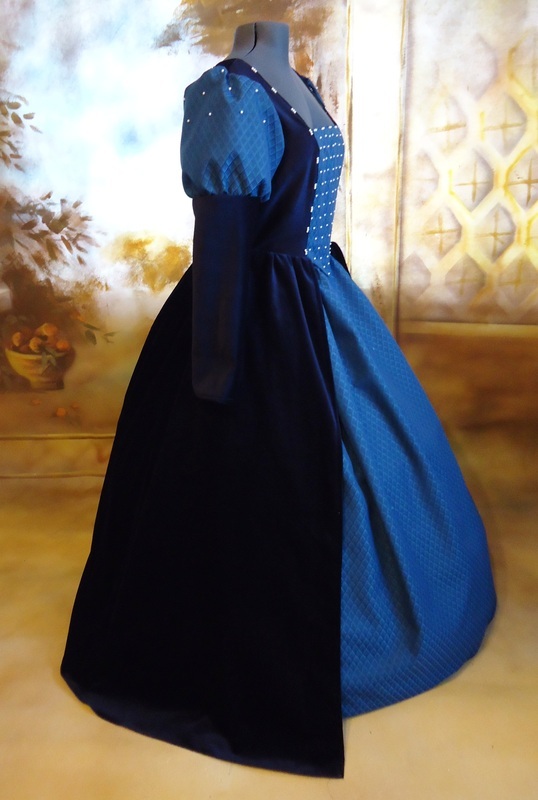 The Underskirt features a one yard panel of matching brocade, and the sides and back are coordinating cotton. The bottom circumference is also 108" on the underskirt, so both skirts will fit over medium to full sized hoopskirts. 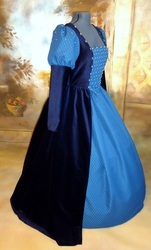 Please note: By default this gown is offered in your color choice of velvet with coordinating brocade. However we can completely customize this gown in other colors or other brocade styles, please contact us to get your custom order started! 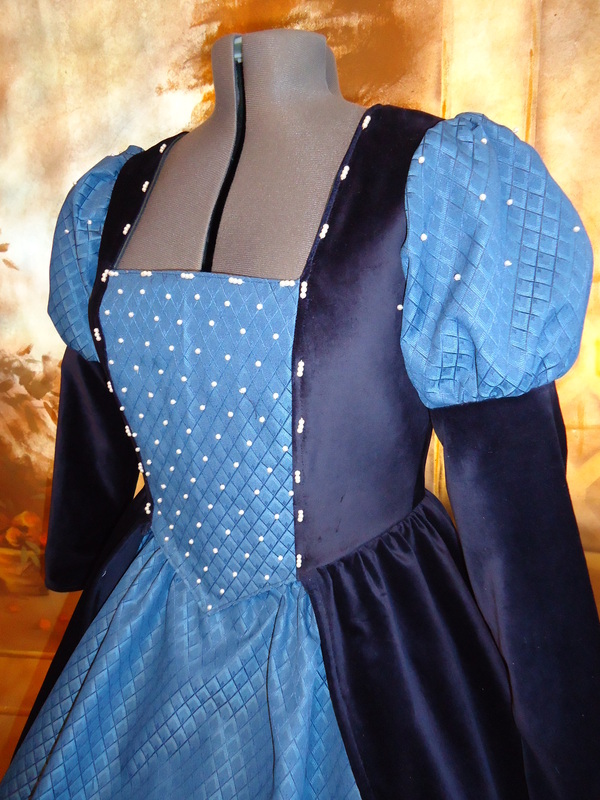 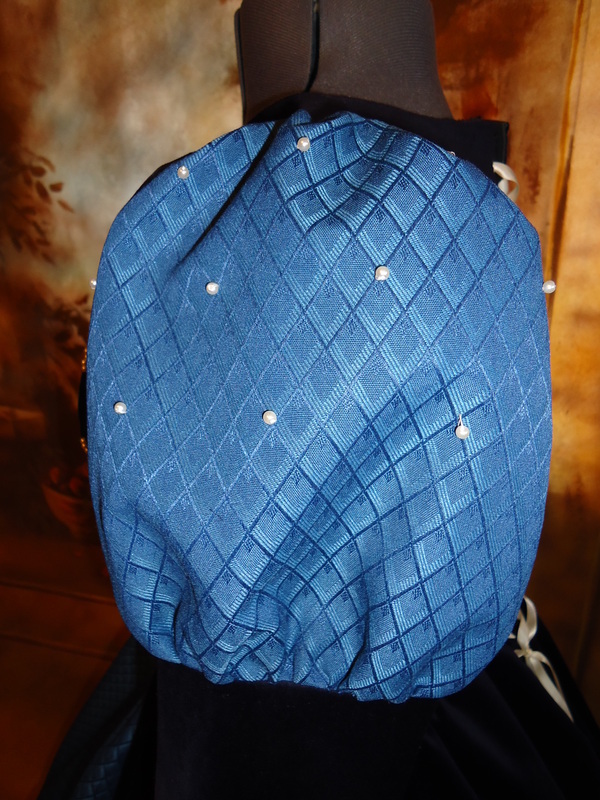 The diamond pattern brocade may vary slightly based on availability.